"I believe every sales staff in every dealership everywhere should be using your service. Owner's manuals are vague, and most truck dealerships tell customers what they want to hear. "—Doug Vallance, Sales, D&D RV Center, MT. One of the biggest mistakes that people make is accepting the TWR as the bottom line while ignoring the owner’s manual towing instructions, cautions, and warnings. Contrary to opinion, the 75% or 80% rule does not ensure a safe towing combination. Read why here. Four formula sets are required to calculate accurate towing capacity. If you don't know these precise calculations, then you'll need RV Tow Check. Three years of development from the original 'Before You Buy RV' web-based app to todays RV Tow Check app by listening to the needs and complaints from numerous RVers. This tool is strongly recommended for anyone owning or considering a tow vehicle less than a late-model one-ton dually truck. Over 250,000 successful calculations since conception without errors. The RV Tow Check app was announced in the weekly RV Dealers Association News Brief. 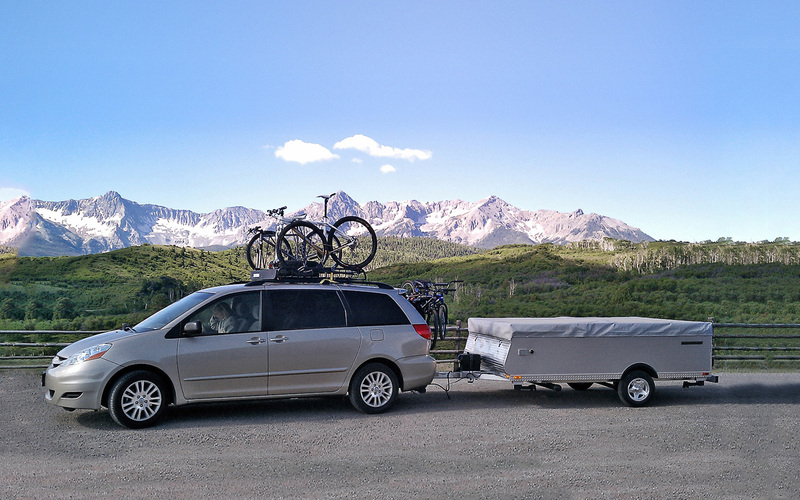 RV Tow Check was created for buyers and dealers by an RV owner who experienced the frustrations of RV buying and matching up a tow vehicle with a trailer correctly. This app is a small price to pay considering it is capable of saving one from a very costly mistake. RV Tow Check is the first 'Before You Buy an RV' towing capacity calculator that conforms to manufacturers' weight safety and warranty warnings and complies with the SAE J2807 trailer weight rating (TWR) calculation methodology. 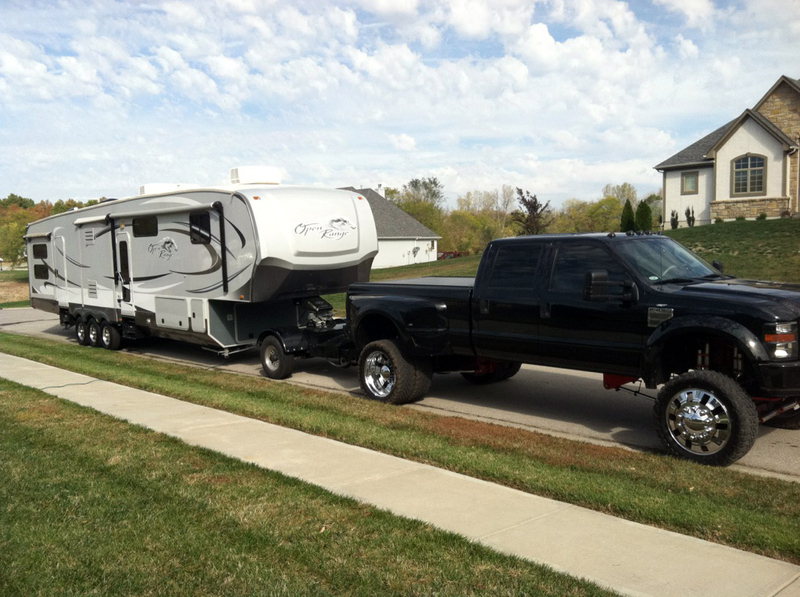 RV Tow Check answers the most often asked questions, "How much can my truck tow?" or "How much can my SUV tow?" or "How much can my motor coach tow?" RV Tow Check can assist all RV buyers and dealers to ensure tow vehicles are correctly matched to any towed vehicle. RV Tow Check provides users with the choice of beginner or expert mode of operation. It is recommended that first-time app users start with the beginner mode and learn from the detailed instructions and pertinent details to become an expert user. RV Tow Check simplifies the process of obtaining the realistic vehicle towing capacity for any vehicle towing a trailer, and it is as accurate as the weights that are entered into it. RV Tow Check displays realistic vehicle towing capacity for a fifth wheel or gooseneck, and conventional trailers (bumper pull) simultaneously and provides instant results when selecting various kingpin or tongue weight percentages. 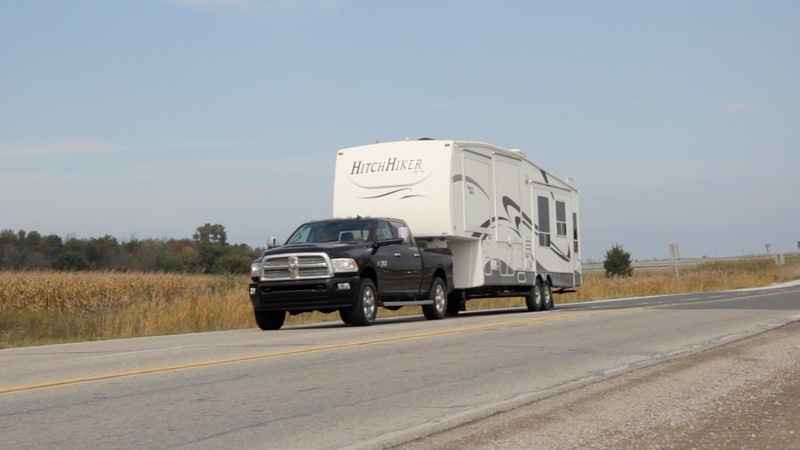 RV Tow Check requires a minimum of four inputs by the buyer or dealer. The required entries are gross combination weight rating (GCWR), gross vehicle weight rating (GVWR), the gross vehicle weight (GVW), and trailer weight ratings (TWR) for fifth wheel, gooseneck and conventional trailers. RV Tow Check users have the option to select a fifth wheel hitch if it is not installed in the truck. RV Tow Check users may include any additional unscaled weight for cargo, aftermarket equipment, and passenger weight. The app does not assume everyone weighs 150 pounds as the manufacturers do. "I've decided after… punching my daughter's trucks numbers into the RV Tow Check app, there is "NO 1/2 ton 5th wheel" under the 6000 lbs GVWR, that her F150 should be able to safely tow!!! Dad is going to wise up and recommend she shop for a bumper pull." [sic] Heartland RV Club member. Practically all towing guides give RVers and dealers just enough information that may cause an RVer to purchase or dealer to sell a trailer too heavy for a tow vehicle's capabilities. Towing guides listing maximum tow capacity or tow limits fail to take into consideration the different towing requirements between 5th wheel and conventional trailers. These simple guides do not consider the additional payload weight created by the trailer kingpin weight. Often, vehicle owners neglect reading the owner’s manual towing chapter instructions, cautions, and warnings. 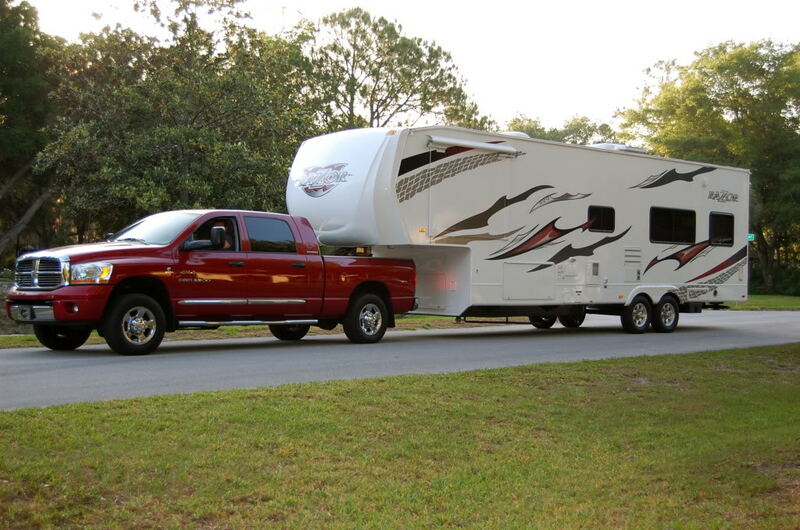 Then there is the problem of knowing the realistic vehicle towing capacity of a tow vehicle after it is fully loaded with passengers, cargo, optional equipment, and a fifth wheel or gooseneck hitch. Even the creators of the most well known towing guide published by Trailer Life use to devote four pages of instructions, entitled 'Choose Wisely,' that spelled out the details required for selecting the correct towing combination. "WEIGHT: The tow-ratings guide in this section lists the maximum tow ratings for vehicles with specific equipment, but many buyers interpret the maximum vehicles' tow ratings with far too much optimism. Always check the manufacturer's figures before making a purchase. The following is an explanation of the terms you need to know which, when combined with readings from a public scale and from your own calculator, should help you determine the correct tow rating for the tow vehicle you plan to buy." The problem for most, buyers and dealers do not know all the calculation formulas to be able to discern the realistic vehicle towing capacity. The RV Tow Check calculator app solves that problem. RV Tow Check is the only mobile-friendly app created to provide realistic vehicle towing capacity. Let's get real—None of the towing guides have improved this statistic. Even Trailer Life's Towing Guide does not include the weight safety formula for calculating towing capacity based on available payload. We are confident that the RV Tow Check app will aid thousands of RV buyers and dealers in making better choices for the RV purchase or sale. Buying an RV is big life investment decision. RV Tow Check will help with part of that decision. Additionally, we anticipate that the RV Tow Check app will become an industry standard for consumers and dealers.